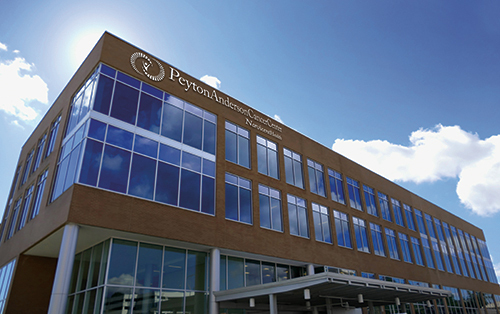 Winship Cancer Institute of Emory University announced today that the Peyton Anderson Cancer Center, Navicent Health in Macon, Georgia, has joined the Winship Cancer Network. Navicent Health, an 830 bed health system, includes The Medical Center, Navicent Health, a tertiary Level 1 trauma center and teaching hospital, and the second largest hospital in the state. The Winship Cancer Network brings together an elite group of health systems and hospitals with Winship, the first and only National Cancer Institute-designated cancer center in the state of Georgia. Navicent Health patients will have access to more than 250 existing therapeutic clinical trials and research projects from top Winship investigators. In many cases, eligible patients may be able to receive therapy through their local doctors close to home. Patients will also benefit from the expertise of consulting physicians. "We are thrilled that Navicent Health, the premier provider of health care in central Georgia, is partnering with Winship," says Walter J. Curran, Jr., MD, Winship's executive director. "The citizens of this region will now have improved access to the very best in cancer clinical trials and subspecialty cancer expertise." "Our priority at Navicent Health is to provide the right care, at the right cost and in the right place – close to home – for our patients. This is particularly true for cancer patients, who are not only burdened with a terrible diagnosis, but also face the burdens of travel and expense. We are thrilled to partner with the Winship Cancer Institute to provide patients in our region with additional treatment options, close to home," said Ninfa M. Saunders, DHA, president and CEO of Navicent Health. Navicent Health is the second hospital system to join the network. In January, Winship announced a partnership with Archbold Memorial Hospital in Thomasville, Georgia. The Winship Cancer Network was created to improve access to high quality cancer care, the latest research, and ongoing patient and provider education for network. The physicians and patients in the Winship Cancer Network will also benefit from direct access to Winship's multidisciplinary cancer meetings for collaboration in cancer care. Physicians, nurses, and clinical research staff in the network can leverage opportunities for Winship's specialized training and education programs. "Our partnership with Winship Cancer Network is not only extremely beneficial to patients, but will also allow our skilled physicians and clinicians to expand their knowledge and expertise through collaboration, education and training. This is one more way that Navicent Health is providing the highest standard of cancer care for oncology patients in our region," said Christopher Hendry, MD, chief medical officer for Navicent Health.